Visit Rab's Expedition 1200 page. 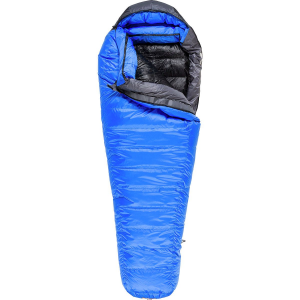 There's no point in sugar coating it: Rab built its lightweight Expedition 1200 -31 Degree Down Sleeping Bag for 6000 meter peaks, polar regions, and the worst weather you can find. The 1200 is packed with over 2. 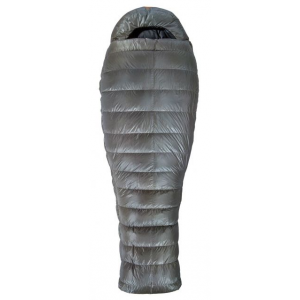 5 pounds of the highest quality 850-fill goose down, which has been treated with a hydrophobic treatment and wrapped between water-resistant, rugged, and incredibly lightweight layers of Pertex Microlight and Pertex Endurance fabrics. 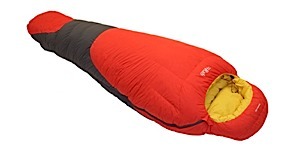 Both the inside and outside of the bag have been finished with water-repellent DWR treatments because condensation, blowing snow, and spilled drinks are intrinsic to alpine tent life.The 1200 is slightly bigger than standard mummy bags in order to accommodate down clothing when you need extra warmth to make it through the night; although, the bag is rated to a staggering -31 degrees Fahrenheit. Longitudinal baffles at the feet and chest use Flowgate technology to minimize down migration, which can cause cold spots, while the angled footbox provides ample room for even big-footed sleepers. 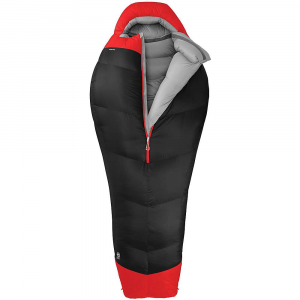 The 1200 also features an internal collar to seal out any cold drafts, an adjustable hood, a 3/4-length no-snag zipper on the left side, and internal drawcords to keep the bag snug across your body while you bunker down against the raging storm. 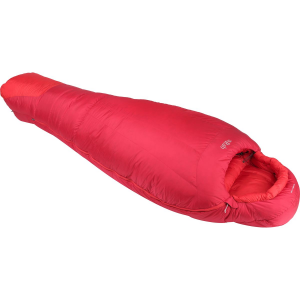 Rab Camp & Hike Expedition 1200 Sleeping Bag (850 Down) QSM26LZ.